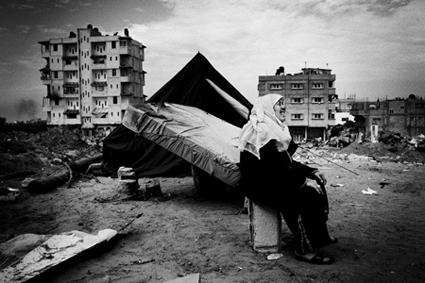 BASEMENTIZID - FREDERIC SAUTEREAU`S "GAZA: WAS IT WORTH A WAR?" “Between July 1997 and April 2000 his work focused mainly on divided cities, namely Belfast, Nicosia, Mostar, Jerusalem and Mitrovica. 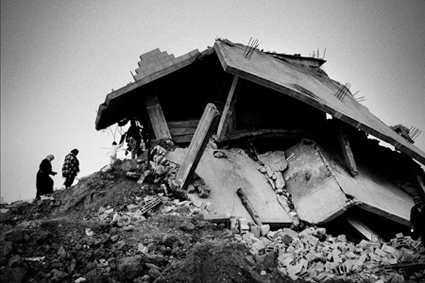 The resulting series was exhibited at the Visa pour l’image festival in Perpignan 2001 and is regularly shown in the FNAC galleries of photography. His book on the theme, Des Murs et Des Vies (Of Walls and Lives) was published by Le Petit Camarguais in May 2002. From June 2000 to August 2003, he devoted himself to the Lisières d’Europe (The Edges of Europe) project. This received the support of Label Paris Europe, the National Centre for the Plastic Arts, and the Hachette Foundation. 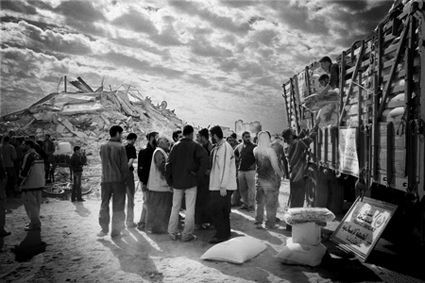 In 2003 he received the Fuji Prize for a work on the wall separating Israel and the West Bank. In 2006, he is the first photo journalist to denounce the exactions of the Central Africans militaries against the populations in the North of the country. He received the Paris Match award in 2008. URSULINES SKATEPARK REPAINTING - BY SOZYONE!